For the last 10-odd years, Over-the-Rhine’s redevelopment path has been all about parks, transportation, and dining—that is, Washington Park, the streetcar, and fancy hot dogs. Music Hall and Ensemble Theatre played their parts, carrying on in the face of riots, economic uncertainty, and endless construction. 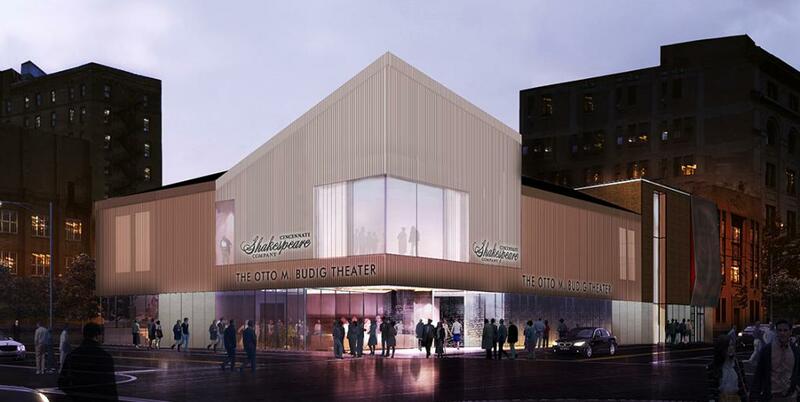 Now it’s their turn in the spotlight, and Cincinnati Shakespeare Company is joining in after relocating from Race Street to the site of the former Drop Inn Center on West 12th Street. 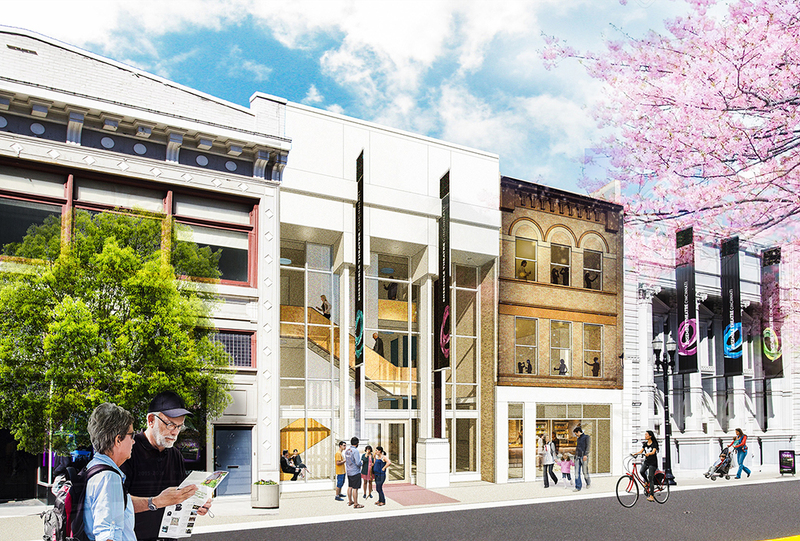 All three organizations are opening their 2017–2018 seasons this fall in renovated or completely new buildings, collectively raising OTR’s profile as a national arts destination. 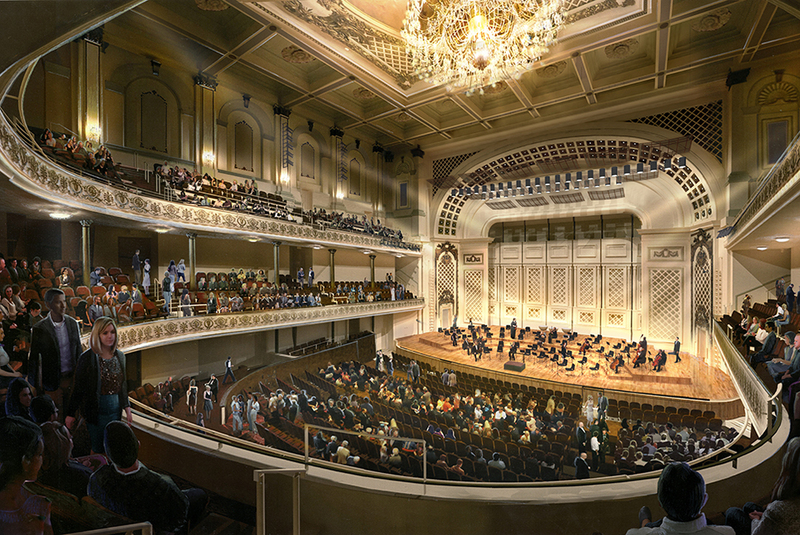 First came Music Hall, the largest and most significant project. And it was a long time coming. “Music Hall had an expiration date,” says Christopher Pinelo, vice president of communications for the Cincinnati Symphony Orchestra. “It was a very, very well built building…in 1878.” It had been 40 years since any substantial renovations took place in Music Hall (see: those escalators), and much of the building’s structure was original, including timbers from the 1870s holding up the first and second galleries. The current renovation reinforces the wood with steel and re-rakes the balconies, making each row of seats higher than the row in front of it. “The biggest complaint has been the comfort of the seats,” Pinelo explains. Cincinnatians were a shorter and narrower breed in the late 19th century, and some of those balcony seats were smaller than a coach seat on an airplane. After the renovation, the first level will have an extra inch of legroom, and the balcony seats will get a couple new inches, too. There will also be elevators to access each floor, and blessedly, more bathrooms. While the added space and facilities will likely be fan favorites, people will also dig the new lounge area in the grand foyer, complete with display screens. Visitors will now have a place to gather before a show or to step into, if needed, during one. And if you’ve ever been late to a performance, you know the heartache of standing in the lobby until you can take your seat. Now latecomers will be able to wait in the lounge (with a drink) and watch performances live on the monitor. For each institution, life before renovation was a labor of love. And while the Music Hall project was massive, it was mostly focused on historically accurate refurbishment and maintenance. When it reopens—grandly, of course—on October 6, visitors will be able to ogle the restored ceiling fresco in Springer Auditorium (70 percent brighter!) and enjoy more than 31,000 square feet of new usable space. In the case of Ensemble Theatre and Cincinnati Shakespeare Company, however, the expectation is that dramatic improvements will transform their profiles in the city and region—along with their capabilities as professional theater companies. Cincinnati Shakespeare replaced its cramped downtown storefront with a remarkable new building just across the street from Washington Park. The seating capacity has increased from 150 to 250 and moved from a black box to a rounded auditorium with a classical stage that thrusts into the seating area. CSC can now accommodate a larger ensemble, guest set designers, and game-raising features like a 13-foot trap and aerial rigging equipment. After 31 years in Over-the-Rhine, Ensemble Theatre Cincinnati owns 40 percent of the block, and stands as an anchor in the revitalized district. Between last season and this fall, ETC renovated three historic buildings and erected an infill building in a former parking lot, allowing for the incorporation of elevators and other access-friendly features. The theater itself will remain familiar, but with new seats. “There is such a passionate belief in the city’s growth,” says Producing Artistic Director D. Lynn Meyers. “None of us want there to be a dark night.” To that end, both Ensemble and CSC have focused efforts on “activating the block”—that is, being a more energized presence in the neighborhood, full of light, sound, and action, and opening themselves up to the community in the process. CSC Producing Artistic Director Brian Isaac Phillips sees theater not just as a creative project but as a catalyst for social justice. “Theater creates opportunity for empathy,” he says, “and empathy creates opportunity for equality.” It’s a lofty goal, to be sure, but it’s also an effort that the neighborhood and its residents deserve.